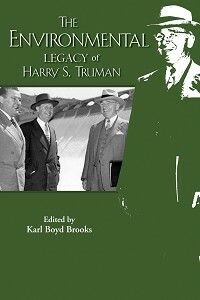 President Harry S. Truman once said that if he were remembered for anything, it would be for his foreign aid programs. 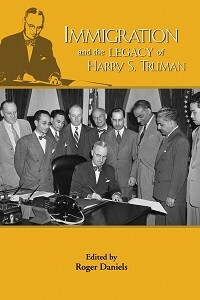 Despite the fragmented appearance of the Truman administration’s various foreign aid programs, they were all inspired by a clear policy “to assist free peoples to work out their own destinies in their own way,” and with the clear purpose of helping create conditions throughout the world compatible with American values and interests. 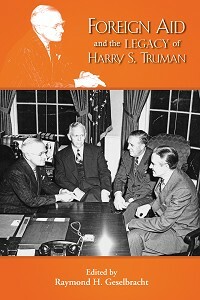 From the Marshall Plan to the Truman Doctrine to the Point Four program, this volume explores the legacy of Truman’s institutionalization of foreign aid as a central feature of American foreign policy. Truman’s idea that the United States should assist underdeveloped or developing countries to build up their economies is an enduring legacy that shapes United States foreign policy to the present day and beyond. Ray Geselbracht, ed., is Special Assistant to the Director at the Harry S. Truman Library. He has also served at the Franklin D. Roosevelt Library and the Richard M. Nixon Presidential Materials Project. 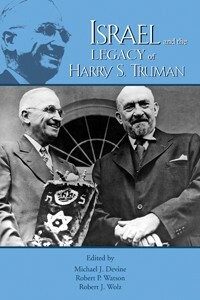 He is the editor of The Civil Rights Legacy of Harry S. Truman (2007) and co- editor of Affection and Trust: The Personal Correspondence of Harry S. Truman and Dean Acheson (2010). 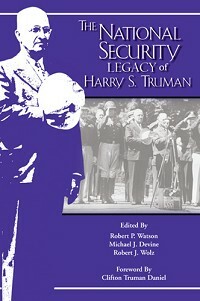 He has published many articles about Harry Truman, the Truman Library, and other archival and historical subjects. He worked closely for several years with former Truman Library director Mike Devine and Truman Little White House director Bob Wolz to organize the annual Truman legacy conferences held in Key West. Michal R. Belknap is Earl Warren Professor of Law at California Western School of Law and adjunct professor of history at the University of California, San Diego. A legal historian, he specializes in the history of civil rights and civil liberties in the twentieth century, and his publications include Federal Law and Southern Order (1987), The Vietnam War on Trial (2002), and The Supreme Court Under Earl Warren (2005). His first book, Cold War Political Justice (1977), deals with Smith Act prosecutions of American Communist Party leadership. As it was written before classified documents and Russian archival material became available, he is currently reexamining the Dennis case. David Ekbladh is associate professor of history at Tufts University. 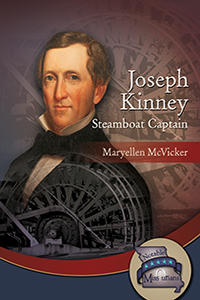 His book The Great American Mission: Modernization and the Construction of an American World Order (2010) won the Stuart L. Bernath Prize of the Society of American Historians as well as the Phi Alpha Theta Best First Book Award. His articles have appeared in Diplomatic History, The International History Review, International Security, World Affairs, and Wilson Quarterly. He has held fellowships from the American Academy of Arts and Sciences, International Security Studies at Yale University, and the Belfer Center at Harvard University. Bob Graham is a former two-term governor of Florida who also served his state in the United States Senate for eighteen years. After retiring from public life, he served as a senior fellow at the Harvard Kennedy School of Government, as co-chair of the National Commission on the BP Deepwater Horizon Oil Spill and Offshore Drilling, as a commissioner on the Financial Crisis Inquiry Commission, and as chairman of the Commission on the Prevention of Weapons of Mass Destruction Proliferation and Terrorism. Graham devotes much of his time to overseeing the work of the Bob Graham Center for Public Service at the University of Florida. He is the author of several books including America: The Owner’s Manual, which teaches the skills of civic participation, and Keys to the Kingdom, his first novel. Mark R. Jacobson is a senior advisor to the Truman National Security Project and an adjunct professor at The George Washington University’s Elliot School of International Affairs. Until recently, he was a Transatlantic Fellow at the German Marshall Fund of the United States. From 2009 to 2011, he served as Deputy NATO Senior Civilian Representative and Director of International Affairs at the NATO International Security Assistance Force headquarters in Afghanistan. He has also been a visiting scholar at Ohio State University’s Mershon Center, an instructor at the National Defense Intelligence College, a senior fellow at the Truman National Security Project, and a member of the staff of the Senate Armed Services Committee. Zachary A. Karazsia is a PhD student in political science at Florida International University. He has managed a number of federal and state grants and private sector evaluative projects and has written several performance assessment reports that analyze program data. His research interests include genocide, ethnic conflict, and post-conflict reconciliation as seen from the perspective of comparative politics and international relations. He is currently writing a study of genocide and the role political scientists play in influencing policymakers with respect to mass killing. Xiaobing Li is professor in the Department of History and Geography and director of the Western Pacific Institute at the University of Central Oklahoma. He is the editor of both the Journal of American Review of China Studies and the Journal of the Western Pacific. His recent books include Modern Chinese Legal Reform (co-editor, 2012), China at War (2011), Civil Liberties in China (2010), Voices from the Vietnam War (2010), and Taiwan in the 21st Century (co-editor, 2008). 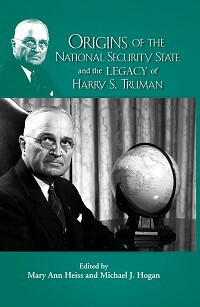 He also contributed an essay to the Truman Legacy Series book, Northeast Asia and the Legacy of Harry S. Truman: Japan, China, and the Two Koreas (2012). Stephen Macekura is a post-doctoral fellow at the Institute for Advanced Studies in Culture at the University of Virginia. 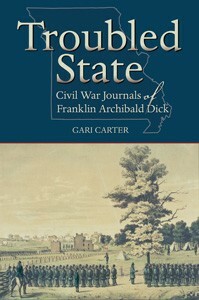 His scholarly work explores the history of the United States in the world, global environmental history, and the history of political economy. His current work explores the conceptualization and critique of economic growth and development within the international environmentalist community. His articles have appeared in Cold War History, The Journal of Policy History, and Political Science Quarterly. Louis A. Picard is Professor of Public and International Affairs and African Studies, director of the Ford Institute for Human Security, and senior research fellow at the Matthew B. Ridgway Center for International Security, all at the University of Pittsburgh. He has served as a consultant to the US Agency for International Development, the World Bank, and the United Nations Development Programme. He is the coauthor of A Fragile Balance: Re-examining the History of Foreign Aid, Security, and Diplomacy (2009) and of Foreign Aid and Foreign Policy: Lessons for the Next Half-Century (2007). He has also published several books about development in southern Africa. Thomas W. Zeiler is professor of history and international affairs and director of the Program in International Affairs at the University of Colorado, Boulder. He has published several books, including Free Trade, Free World: America and the Advent of GATT (1998), Annihilation: A Global Military History of World War II (2011), and Dean Rusk: Defending the American Mission Abroad (1999). He has served since 2006 as a member of the Department of State’s Historical Advisory Committee, and he was the editor of Diplomatic History from 2001 to 2014. 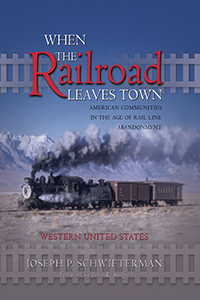 "... a seminal and highly recommended contribution that should be acquired for academic library 20th Century American Political History collections in general, and Harry S. Truman Administration supplemental studies reading lists in particular."